Bitcoin transaction fees dropped to 2014 levels. 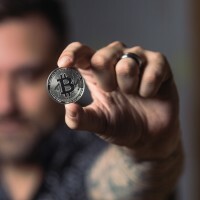 According to a new report released by analyst firm Crypto and Blockchain Diar on February 11, Bitcoin fees (BTC) are at new lows. "The average fees are also at levels that have not been observed since 2015, despite the fact that the total number of monthly bitcoins moved along the chain is at higher levels than during most of 2018." Last month, Diar reported that cryptocurrency exchanges closed 2018 with “record transaction volumes” when the total trading volume in the US dollar (USD) market at the main US crypto exchange, Coinbase, increased by 21% in 2018 compared to 2017. Over the same period, an increase of 192% and 50% was observed on the exchanges Kraken and Bitfinex, respectively. However, last week Diar published a report stating that since the beginning of the year, trading volumes on stock exchanges cryptocurrency fell to new lows in January, which have not been observed since 2017. This period was reportedly the worst for the world's leading cryptobirds in adjusted trading volumes, Binance, as the BTC / USD market declined by more than 40% compared to December 2018.